If you are suffering from daytime fatigue, dry mouth, headaches or a sore throat, you probably snore at night. 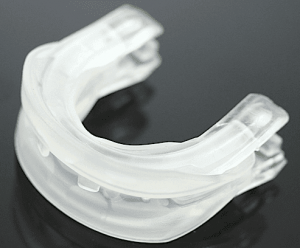 The AirSnore mouthpiece will help you breathe better while you sleep so you can feel great in the morning. 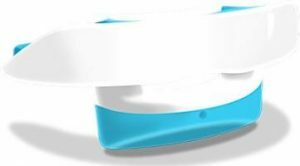 This comfortable anti-snoring device is easy to wear and stops snoring so you get a good night’s sleep. Being well rested can make a huge difference to your health, mood, happiness and your relationships. 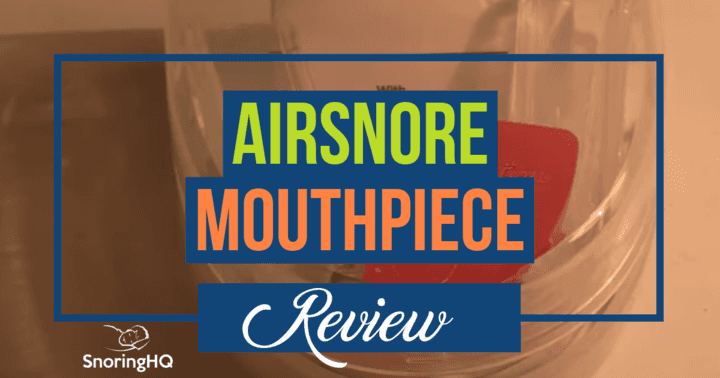 The AirSnore mouthpiece is easy to use and is suitable for everyone due to its one size fits all design. The simple and painless breathing apparatus is an effective alternative to surgery. The AirSnore natural drops are a perfect complement to the appliance and offer a solution for those who are congested to help make breathing easier. AirSnore drops clear your airways and eases your breathing to help you fall asleep more easily. 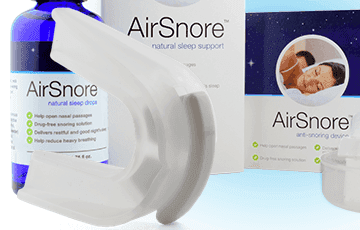 AirSnore natural drops help you breathe easier while sleeping. The air hole in the center of the mouthpiece allows you to breathe through your mouth while sleeping. This is an excellent feature for congested individuals or those with sinus problems, a deviated septum, and nasal polyps. Made in a Food and Drug Administration facility. It is a basic anti-snoring device, with no adjustments for an even better custom fit. The mouthpiece can’t be worn by individuals with dentures, caps, crowns, implants or bridges. It may cause excessive drooling initially. AirSnore is an effective and affordable anti-snoring device that can work alone or in tandem with AirSnore drops. The appliance is designed to hold open your jaws, and widen the airway in the back of the throat to prevent snoring. The device forces mouth breathing. But this product is more than a mouthpiece. The AirSnore bundle includes drops made of five main essential oils which have soothing and antiseptic properties to help relieve nasal congestion so you can get a better night’s sleep. AirSnore works by opening your bite and clearing the airway to prevent vibration of the soft tissue in the back of your throat. This allows you to inhale more oxygen and can stop the snoring. The appliance uses an easy boil-and-bite method to achieve a custom and comfortable fit that molds to your mouth and is unique to your bite. Mouth-breathers and those suffering from cold-like or allergy symptoms will appreciate the air hole in the mouthpiece that allows free airflow through the front of the appliance. AirSnore also uses an alternative approach by including the option to use specially created drops to help you breathe easier and sleep well. These drops contain five essential oils and can be placed on your chest, around your neck and under your nose. Lavendulaangustifolia Flower Oil. Extracted from the lavender plant it aids in sleep. Eucalyptus Globulus Leaf Oil. Extracted from the eucalyptus tree it has a wide variety of health benefits. Eucalyptol creates a soft, soothing effect to help with sleep. It is also used to help clear up respiratory infections, sinus infections, alleviate asthma symptoms, and reduce pain and inflammation of the respiratory tract mucous membranes. Menthapiperita Leaf Oil. Extracted from the peppermint plant and commonly called peppermint oil, it helps to relieve nausea and calm nerves. Helianthus Annus Sunflower Seed Oil. Extracted from sunflower seeds this oil has medicinal value and is a source of tryptophan, which helps to relieve insomnia and mild depression. Pinussylvestris Leae. Extracted from the Scot Pine tree’s needles it helps to alleviate insomnia. I used the common boil and bite technique for the AirSnore which allowed me to custom fit the appliance to my jaw structure. After leaving the device submerged in a bowl of boiling water for about 30 seconds per the instructions, I placed it in my mouth and bit down hard enough to sink my teeth into the material without biting all the way through. I also formed the edges by hand around my gumline. I removed it and then placed it into a bowl of iced water so it could harden. I rubbed a few drops of the AirSnore Drops under my nose before going to sleep. They were pleasant. However, the smell is not very strong and doesn’t last long. The effect of the drops was minimal. The device was comfortable when I went to sleep, but I did wake up with a slightly dry throat and mouth because I was unaccustomed to breathing all night through my mouth. I felt well rested and could breathe easier. The key feature of the AirSnore is easy breathing. I used some denture cleaning solution to clean the AirSnore before storing it away in its case. As I became used to the product, the soreness in my jaw and mouth subsided. I liked using the drops because thy helped me relax before falling asleep. I had great results with this product, so for me, it is effective and affordable. It helped me get a good night’s rest. The AirSnore is a tremendous deal. 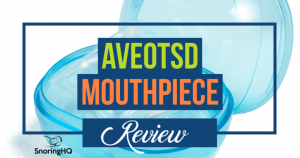 It is one of the most competitively priced jaw advancement devices on the market. One appliance costs $49.95. The AirSnore drops cost $59.95, but the bundle is only $89.95 which results in a savings of $39.69. The manufacturer also offers deals such as buying two and getting one free so you can have multiple appliances for traveling or in case one gets lost or damaged. Customers also qualify for free shipping which makes it an even better deal. Is AirSnore Right for You? The AirSnore is a good snoring prevention device. It is simple to use, inexpensive and offers a long guarantee so you have plenty of time to test if it is right for you. The addition of the herbal AirSnore drops makes it unique from other stop snoring products. A few drops under your nose or on your chest are enough to make you feel relaxed and help you breathe easier, especially if you are congested. If you are searching for an effective, inexpensive and easy to use device this is the appliance for you. If you find you need advanced features such as a mouthpiece that can be calibrated, you may want to try SnoreRx.